Leonardo DiCaprio says that spending nine months in the most remote and frigid regions of Canada and Argentina filming The Revenant profoundly changed him — and the actor predicts that director Alejandro González Iñárritu’s intense new film will have an equally seismic impact on movie fans. “It’s going to be one of the most unique film-going experiences that audiences have seen in modern times,” the 40-year-old Oscar nominee told Yahoo Movies on Friday about The Revenant, the gruesome true-life tale that hits theaters on December 25th. 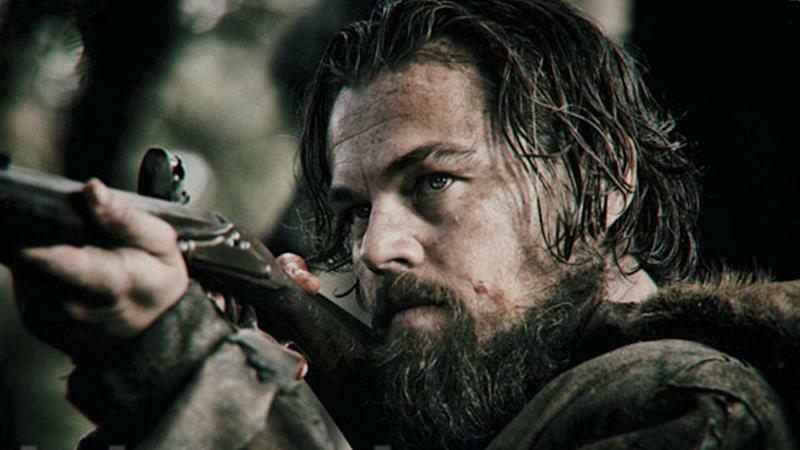 In the film, DiCaprio stars as Hugh Glass, an 1820s frontiersman who’s left for dead by his fellow travelers after a vicious bear attack. Glass wakes ups under a pile of dirt in the freezing wilderness, and after recovering, he sets out on a lonely, treacherous journey back to civilization — where he plans on enacting his revenge on those who abandoned him, especially a fellow trapper named John Fitzgerald (played by Tom Hardy). In his conversation with Yahoo, DiCaprio was not shy about hyping up the film, which could earn him his fifth Academy Award acting nomination. He also spoke about the difficulty of the shoot — which led to the departure of several crewmembers — and the future of film. Watching the trailer, I couldn’t figure out how you shot the bear attack — was it a real bear? A fake bear? CGI? Well, I’m not going to give any specifics on how we did it — you’ll figure it out on your own. But I will tell you it involved cables, it involved me flying around the forest, and it involved a tremendous amount of rehearsal. And it was pretty agonizing to do. [Those scenes] — amongst many other sequences — were some of the more difficult things I’ve ever had to do in my entire career. But the end result is going to be one of the most immersive experiences audiences will ever have with what it would be like to come face-to-face with an animal of that magnitude that is incredibly primal. It is absolutely startling and shocking, and it is the closest thing to documentary filmmaking — but in a completely stylized way that a lot of people never experienced. You spent nine months in freezing cold Canada and Argentina shooting this. Was there any point where you felt like you were going to break? The truth is that I knew what I was getting into. This was a film that had been floating around for quite some time, but nobody was crazy enough to really take this on, simply because of the logistics of where we needed to shoot and the amount of work and rehearsal that would have to be done to achieve Alejandro and [cinematographer Emmanuel Lubezki] vision. They’re very specific about their shots and what they want to achieve, and that — compounded with the fact that we were in an all-natural environment, succumbing to whatever nature gave us — was something that became more of a profoundly intense chapter of our lives than we ever thought it was going to be. It’s epic poetry, an existential journey through nature, and this man finding a will to live against all odds. Yet he changes, nature changes him and I think those elements changed him while we were doing the movie. I can name 30 or 40 sequences that were some of the most difficult things I’ve ever had to do. Whether it’s going in and out of frozen rivers, or sleeping in animal carcasses, or what I ate on set. [I was] enduring freezing cold and possible hypothermia constantly. What did you have to eat during it? I certainly don’t eat raw bison liver on a regular basis. When you see the movie, you’ll see my reaction to it, because Alejandro kept it in. It says it all. It was an instinctive reaction. There were reports that it was a difficult shoot, and that people had to leave the shoot at different points. Did you ever feel that it was getting out of control, or moments that you thought the whole thing couldn’t continue? Look, what we were trying to pull off was so incredibly ambitious, and [Alejandro] is vigilant and incredibly specific about what he wants up on screen, and he won’t accept anything less. So along the way, if we had departments that didn’t agree or departments that didn’t work correctly with the situation … I wasn’t privy to exactly what went on. But to me, most of the people were there working incredibly hard, and they should be given due credit for the effort they gave this movie. Because everyone I saw was giving their heart and soul to pursuing his vision. There are fewer and fewer movies like this, as studios play it safe and go with franchises and superheroes. Do you worry about that, as both an actor and producer? I do. I put a lot of thought into that, actually, because The Revenant is a film that is so incredibly unique. It’s a very linear and simple story, but it doesn’t have all the formulaic plot points [found in] a lot of films have coming out of the studio system. What’s interesting to watch, as television becoming that much better, I think a lot of these stories are going to be going toward television. Television is better than it’s ever been in history. A lot of stories are being pushed — because of how complicated they are to make —toward Netflix and other channels on cable. But we’re going to see whether or not movies like this can survive anymore. It’s like the Last of the Mohicans — these type of movies. I don’t know if [these kinds of films] going to get financed anymore. So all I can do as a lover of film is, when I see these opportunities, to jump on them. [They’re] maybe a dying breed. Is TV something your production company, Appian Way, wants to do? Sure, we’ve got a few things in development right now, and a few things that look like they’re going to go, [but are] just a little premature to talk about. [On] television right now, things like Bloodline — these shows are incredible, and the acting is astounding and it’s on par with movies nowadays. To me, it’s going to have to make movies even that much better [in order to be] green-lit. The Revenant is coming out on December 25th — around the same time as Star Wars: The Force Awakens, as well as other holiday movies. What’s the pitch for people to see this one? There’s always room at the top. I’m going to be in line for Star Wars as well. What’s great about this time of year is, as you know, they save the best for last in most cases. And hopefully, it just means more people are excited to go to the movies. I think that people know this time of year is where a lot of great pieces of art are going to come out. I would never think that we’d be able to compete with Star Wars — that’s something that’s embedded in our cultural DNA. But I think when people begin to hear about this movie, they’ll want to go see it. And that’s all we can hope for.